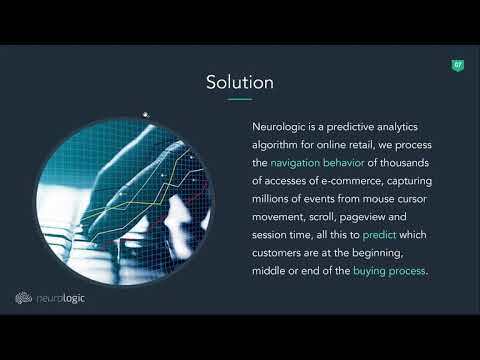 Neurologic is a predictive analytics algorithm for online retail, we process the navigation behavior of thousands of accesses of e-commerce, capturing millions of events from mouse cursor movement, scroll, pageview and session time, all this to predict which customers are at the beginning, middle or end of the buying process. When this user leaves the site without finalizing the purchase, this information allows the stores to customize the text and frequency of remarketing according to the stage in the buying process on each user, displaying the correct message, at the right time, so user is not worried with irrelevant ads. We work through a native integration with Google Adwords, Facebook Ads, among other platforms, sending the identified users to our audience within these platforms. So the store's media analyst can continue working with the platform he already knows but with advanced targeting. The HTML to high-fidelity PDF conversion API. 🛡️ Machine and human powered user content moderation.